Contouring is something I usually reserve for special occasions. Mind you, I only stick to defining my cheekbones, anything other than that is beyond my capabilities and in any case I’m not really interested in looking that chiseled! Most of the time I just want subtle definition and for a non-expert like me the right makeup brushes are a life saver. From top to bottom first there is the Real Techniques Contour Brush. 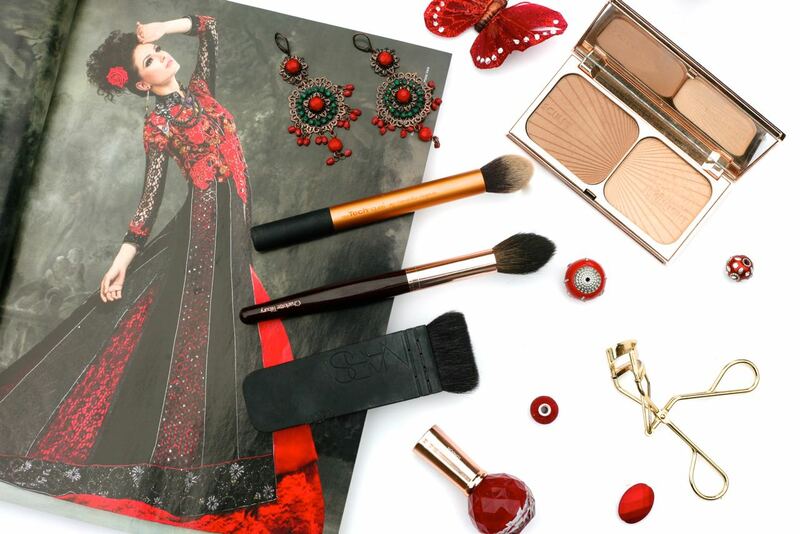 This is a part of the Core Collection Set which costs £21.99 and is a great affordable option. Unfortunately you can’t get it separately which is a shame but then I love all the brushes from this set so it’s a win win in my opinion. This has a tapered end but is a bit more rounded and is the perfect size for getting the product exactly where you want it. It also helps that the bristles are really soft with just the right level of density. Like the Real Techniques Contour Brush, the Charlotte Tilbury Powder & Sculpt Brush in the middle is also tapered at the end but it is more slim line allowing for even more precision. This brush picks up just the right amount of product and I love how the handle is cleverly designed to stop it rolling off your dressing table…..genius. This is definitely a lot more expensive at £35, so it’s not for everyone but it sure looks and feels super luxurious. 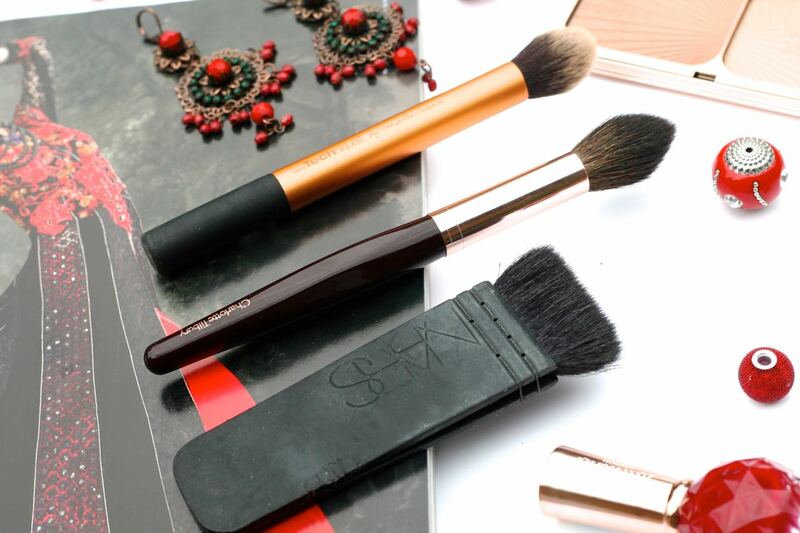 Both of these brushes are great as they are multi-purpose – they can be used for contouring other areas of your face, highlighting or even as precision powder brushes, plus blending with them is a breeze. 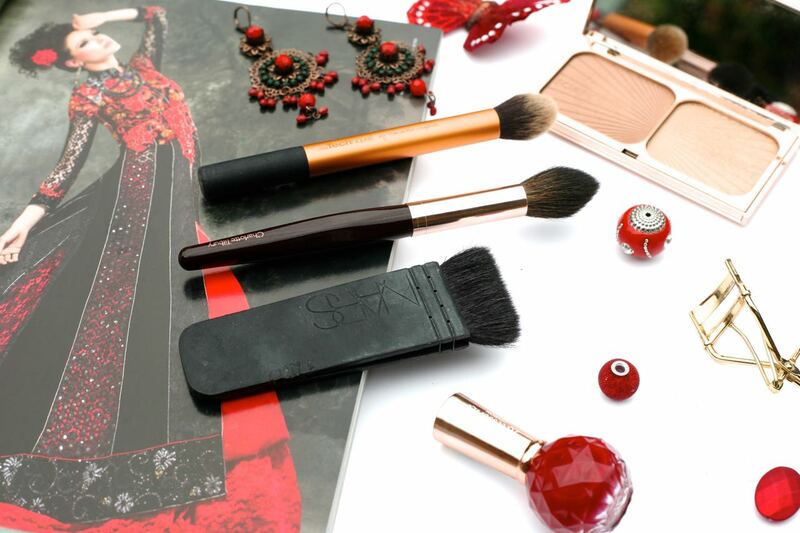 Now, when I want to go for that killer cheekbone look then nothing does it better than the Nars Kabuki Artisan Ita Brush. I purchased this ages ago and yes, there are more affordable options, I know Real Techniques do a similar one in their Bold Metals range but this is what I have and it really does take definition to a whole other level. The thin rectangular shape means you will get a striped effect to start with but then the key is to blend, blend and blend and I use a separate brush to do this. I suppose for that reason it does take a bit more work and unlike the Real Techniques and Charlottte Tilbury brush, this one is not multi-purpose as it’s not really practical to use for anything other than defining your cheekbones. It costs a whopping £43 and although I do like it, it is not a must have. When it comes to a sensible recommendation I think the Real Techniques Contour Brush is a great all-rounder. It’s multi-purpose, it does the job very effectively, the quality is great and although it comes as part of a set, all the brushes are fantastic making it great value for money.